Last week's episode of Breaking Bad ended on a bit of a downer, and one with serious consequences to boot. It also really seemed to boost this half-season to the next level. Innocent bystanders don't get gunned down by new members of your cadre without things getting serious. How would these events be dealt with in episode six of this eight episode half-season? And what else would go down? Well, I shall start where the episode did, with the aftermath of Todd's shooting that kid. First, we watch Mike, Todd, and Walter silently break apart the motor bike to dissolve it. This saved us the much grimmer sight of what else they needed to dissolve. Notably absent was Jesse. It was Jesse's reaction I was most interested in. First, he punched Todd in the face. Then, we got another meeting with a vote for our trio. They decide that cutting Todd loose is too risky, and nobody seems up to killing him, so they keep him around. I don't think this is over. You don't get a new character so involved and then just sort of push him to the side after something so serious. However, I was content with what they did in this episode. They got it done early and moved on, and Todd got to be fleshed out a bit, which will be key if he is to remain relevant. Also, later in the episode we see a news report about the missing kid, whose name is, I believe, Drew Sharp, which is the name of a terrible sportswriter in Detroit. What's more important is that this makes me thing we haven't heard the last of the kid. Additionally, Jesse mentions an uncle in prison that can serve as a "connection." Knowing Breaking Bad, he's going to come up again. Maybe he'll be part of why Walt needs that machine gun in the future. That being said, the crux of this episode involved the business wearing on Mike and Jesse. Mike is being followed by the DEA, having to constantly shake them and occasionally leave them profane notes because he is unflappable. Jesse, on the other hand, is still reeling from Todd's actions. Walt tries to calm him down, and to encourage him to set his grieving aside until later, but it doesn't work. Another meeting goes down (this season has been heavy on business meetings) and Mike and Jesse announce their intention to sell their shares of the methlyamine for $5 million apiece, and they suggest Walt join them. As is mentioned later in this episode, this calls to mind when Walt's old business partners from Gray Matter tried to help him out, but he was too proud and decided to keep cooking meth. Vince Gilligan has mentioned this as a key point in the show, because Walt made a decision to remain a drug manufacturer when he didn't need to. In this episode, Walt once again says no. It's not about money to him anymore. In a conversation he has with Jesse in his comically dark house, he's not in the meth business or the money business. He's in the empire business. Yeah, that's going to go well. I do feel this is a demarkation point for the rest of the series. Walt is kicking things up a notch. He wants to be a meth kingpin. Also, as he points out, it's all he has left. Walt says this during a tremendous dinner scene in which he and Skyler have Jesse over for dinner. It was darkly funny in its uncomfortableness, and Jesse's talk of false advertising in frozen dinner and how much he is enjoying his green beans. Skyler and Walt simmer quietly. Skyler had found out earlier in the day that Walt had told Marie about her affair with Ted, so she's mostly getting drunk. Walt tells Jesse that he is no longer able to have his kids in the house and his wife is waiting for him to die. Hence, he has nothing left but the meth. Also, the pieces are really starting to fall in place to make the flash forward make more sense. There was another top notch scene where we got some levity thanks to an appearance from Saul Goodman. He managed to file a restraining order against the DEA on the behalf of Mike. Oh that crafty Saul. It should buy Mike enough time to sell the methlyemine. 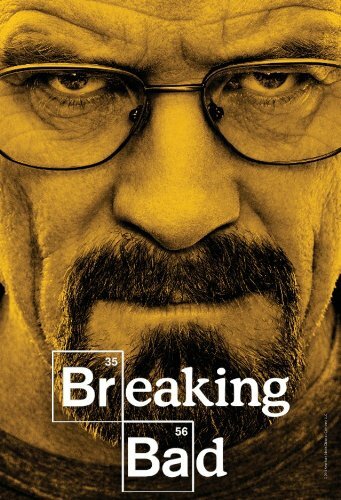 Speaking of which, Mike and Jesse's sale goes south when the guy who wants to buy the methlyamine, he's a big wig in Phoenix, finds out the blue meth won't be off the market. The deal changes. It's all or nothing. Jesse and Mike need Walt's share. This brings Mike and Walt back into conflict, which is always nice. It also led to the best part of the episode. Walt tries to steal the methlyamine, but Mike is ready for him. They spend all night together, Mike guarding Walt to make sure he can sell all the stuff to get his money and get out of the business for good. However, he had to go deal with that restraining order thing, so for that he zip tied Walt to a radiator. Of course, Walt alone is Walt with the time to plan, and that means it was time for some more great Walt ingenuity. First, he tried to smash the coffee pot to use the glass to cut it. When the pot ended up across the room, he broke open the electrical cord with his mouth, exposed the wires, and used it to burn through his bond. This also meant burning his skin, which was a great way of showing just how determined Walt was. All this just to keep cooking meth. At the very end of the episode, Mike finds the methlyamine gone with Walt and Jesse in the office. Mike points a gun to Walt's head ready to shoot, but Jesse insists Walt has another brilliant plan that will let them keep the methlyamine and let Mike get his money. The episode ends there. It was sort of a strangely abrupt ending, because it was basically a cliffhanger, almost like the first part of a two parter. It felt a bit strange for this show, but I was OK with it, mostly because Walt had the most gloriously smug smirk on his face as the episode ended, even though Mike had a gun pressed against his head. "Buyout" was another very good episode of television, but this season of Breaking Bad has yet to have a great, seminal episode. I have faith it will though. I feel like this season, or rather this half-season, is building up to one huge event. Past seasons have sprinkled in the epic occurrences here and there, but I think they might be doing some different storytelling this time around with an eight episode arc. Next week, we'll see what happens with Walt's plan. Then, it's the "finale" so to speak, and I would reckon that may be the episode that at least sparks the chain of events that leads to Walt's bleak, bearded future. I wouldn't be surprised if it involves the meth lords from Phoenix, or Todd's prison connections, or a touch of both. I also still expect somebody to die before all is said and done. There are lots of questions left to be answered, and only two episodes to answer them until next summer. However, after the last few episodes of this season, I am starting to get really excited.